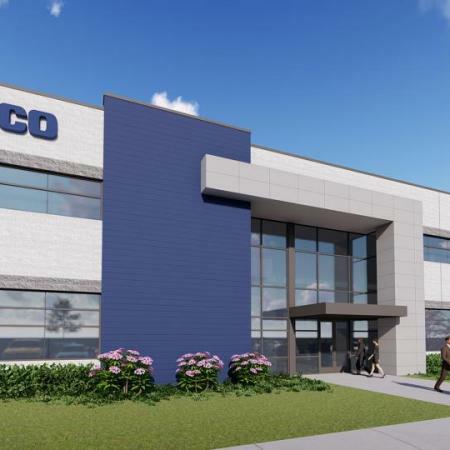 WABCO Launches its First Dedicated Customer Care Center in North America; Combines Customer Support for Comprehensive Product Portfolio After Four Acquisitions | MICO, Inc.
Rochester Hills, Michigan – July 25, 2018 – WABCO Holdings Inc. (NYSE: WBC), a leading global supplier of technologies that improve the safety, efficiency and connectivity of commercial vehicles, today announced that it has opened its first North America Customer Care Center, providing full support for the comprehensive portfolio of industry-leading WABCO products sold in the region. WABCO has significantly expanded its product offering following the acquisition of four high-tech manufacturing businesses since April 2016 in North America. The Customer Care Center will provide first-rate customer support for well-established WABCO technologies in addition to Sheppard steering gears, MICO off-highway systems, aerodynamic solutions tied to the acquisition of Laydon Composites, and products associated with Meritor WABCO, the former 50-50 joint venture. The Customer Care Center combines the technical service teams of WABCO and acquired companies, creating a powerful organization with more than 40 highly knowledgeable professionals based in the U.S. The operation will also include a dedicated Aftermarket Sales Desk for seamless and efficient part order processing. The Customer Care Center employees currently located at facilities in Troy and Rochester Hills, Michigan, will relocate to WABCO’s new Americas headquarters in Auburn Hills, Michigan, when it opens in the third quarter 2018. WABCO’s Customer Care Center is now open from Mondays through Fridays from 7:30 A.M. to 12:00 Midnight EST and on Saturdays from 9:00 A.M. to 6:00 P.M. EST. WABCO customers can reach Customer Care team members via phone at (855) 228-3203 or by email at wnacustomercare@wabco-auto.com for technical service questions or wabconaorders@wabco-auto.com for service parts ordering support. Press Photo/Caption: WABCO’s first dedicated Customer Care Center for North America is now fully operational and will relocate to the company’s new Americas headquarters in Auburn Hills, MI, once construction of the building is complete in the third quarter 2018. WABCO (NYSE: WBC) is a leading global supplier of technologies and services that improve the safety, efficiency and connectivity of commercial vehicles. Originating from the Westinghouse Air Brake Company founded nearly 150 years ago, WABCO continues to pioneer breakthrough innovations to enable autonomous driving in the commercial vehicle industry. Today, leading truck, bus and trailer brands worldwide rely on WABCO’s differentiating technologies, including advanced driver assistance, braking, steering and stability control systems. Powered by its vision for accident-free driving and greener transportation solutions, WABCO is also at the forefront of advanced fleet management systems that contribute to commercial fleet efficiency. In 2017, WABCO reported sales of $3.3 billion and has nearly 15,000 employees in 40 countries. For more information, visit www.wabco-auto.com.